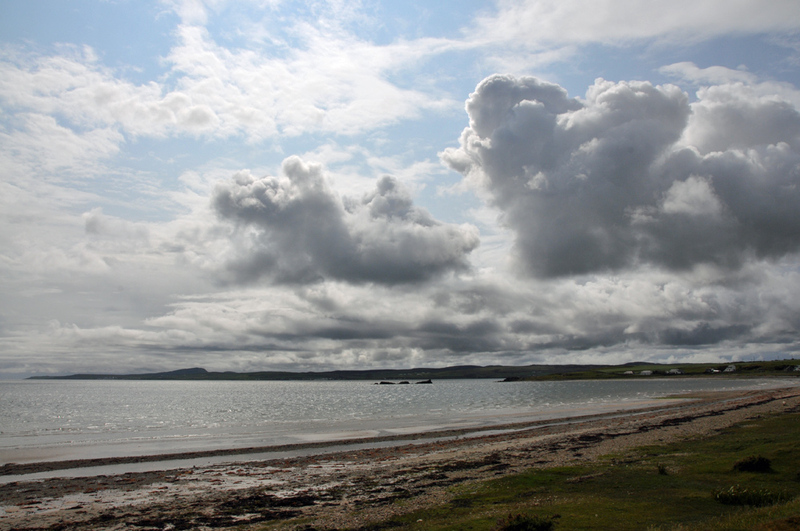 A view along the north western shore of Loch Indaal from near Blackrock (houses on the right). Beinn Tart a’Mhill (232m) in the distance on the left. Some dramatic clouds moving in from the west. 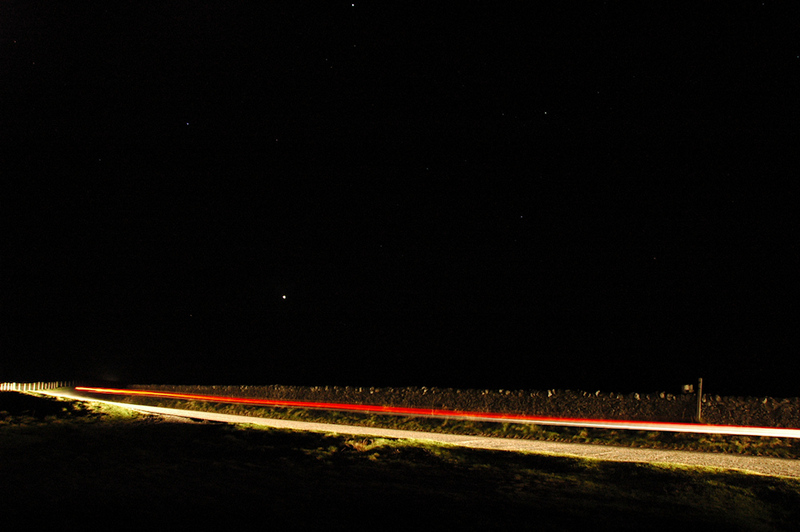 Cars passing in the night, a few stars visible in the sky.